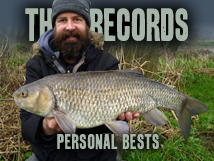 It looks like the gudgeon fishing trip produced the only fish of the month - unless I drag myself out of bed at stupid o'clock tomorrow and manage to find a carp - it's not looking likely. 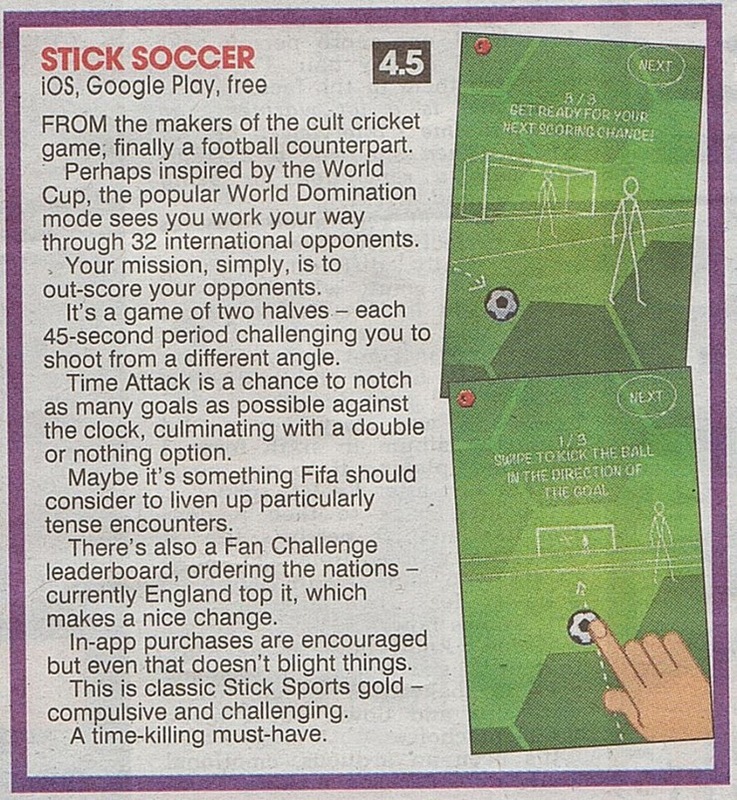 The Sun's review of Stick Soccer - not bad at all! 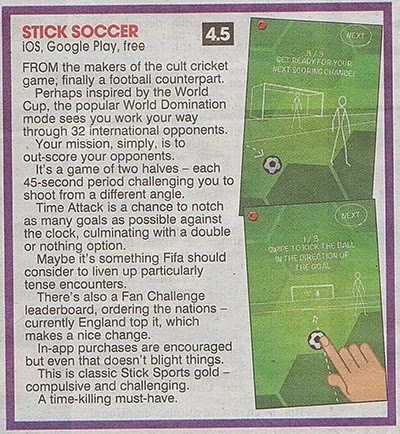 It took just over a week to hit a million downloads and is still going strong - great stuff. 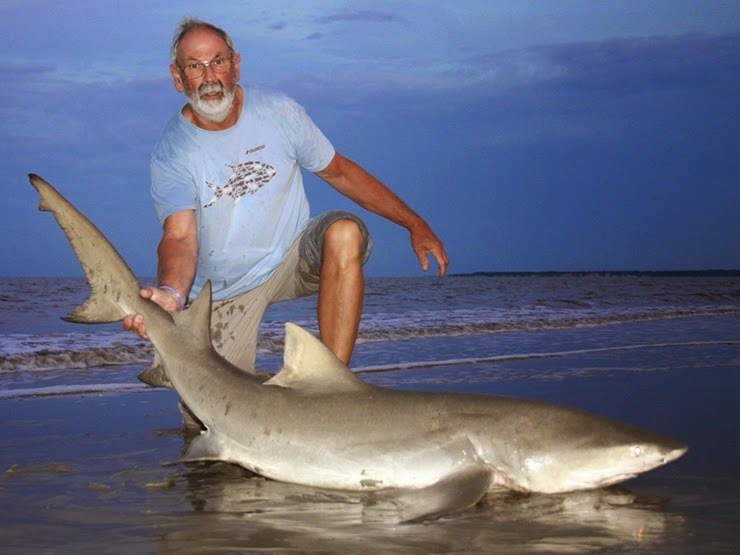 And while I've not been fishing Roger has been bagging up; new PB beach caught lemon shark at six foot above, 8 foot nurse shark, barracuda, snapper and tonnes of other stuff - well done that man. 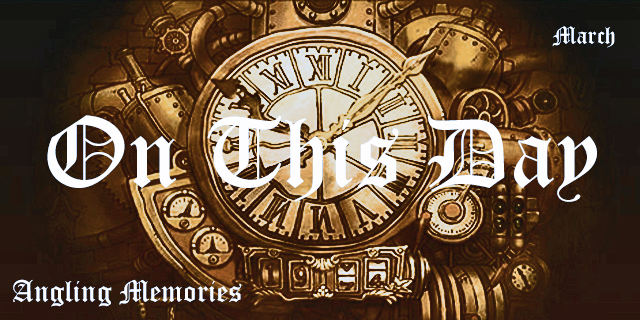 And I did get up at stupid o'clock... 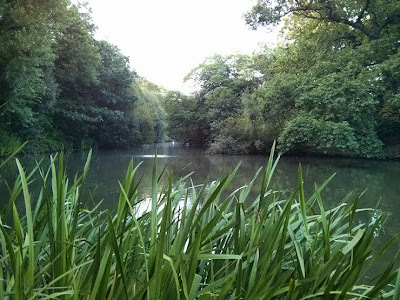 But the bloody carp are still eluding me!